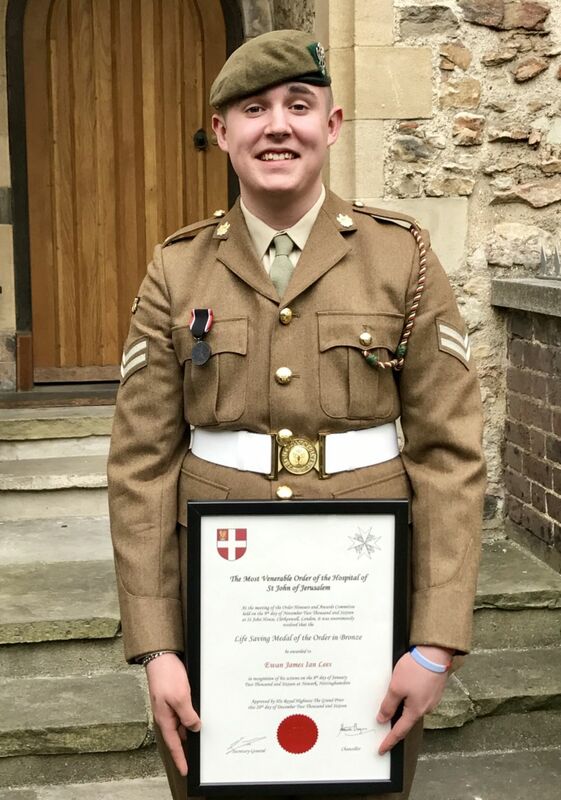 Congratulations to Corporal Ewan Lees from Ollerton Detachment who received the Bronze Life Saving Medal of the Order of St John at a special ceremony at St John's House in London this week. He was awarded the medal for his quick-thinking and brave actions during an incident last January. Ewan, who was 15 at the time, was at home when the seriously injured victim of a drugs incident banged on his door asking for help, having been ignored at every other house he had tried. He found the man had been attacked with a meat cleaver, almost severing one hand and causing deep wounds to his head and legs. Ewan used his top, towels and a quilt to stem the bleeding, all the while the attackers looked on. 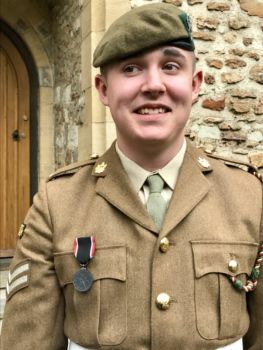 Major Darren Taylor, Ewan's Officer Commanding, said: "I'm so proud of Cpl Lees. 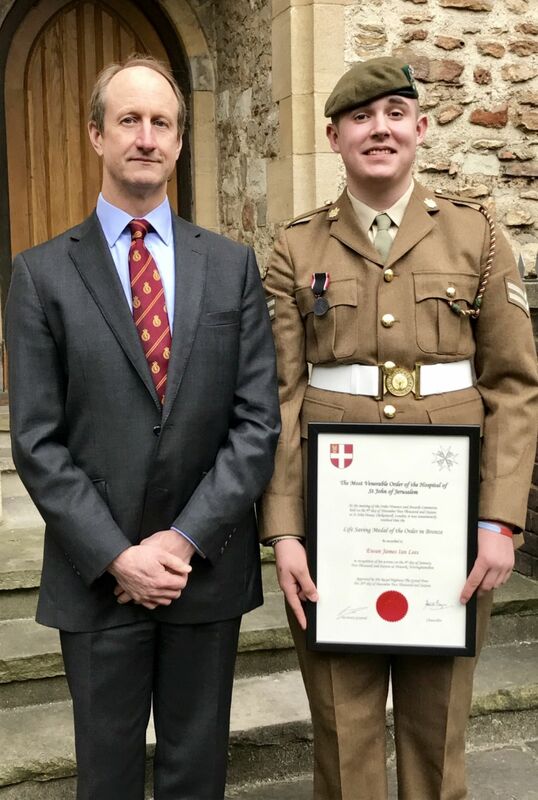 This just goes to show how important First Aid skills are both in and outside of the Cadet Forces." As well as being a cadet with Nottinghamshire ACF, Ewan is also a Colour Sergeant with The Dukeries Academy CCF. The Life Saving Medal is a Sovereign's Award approved by the MOD. 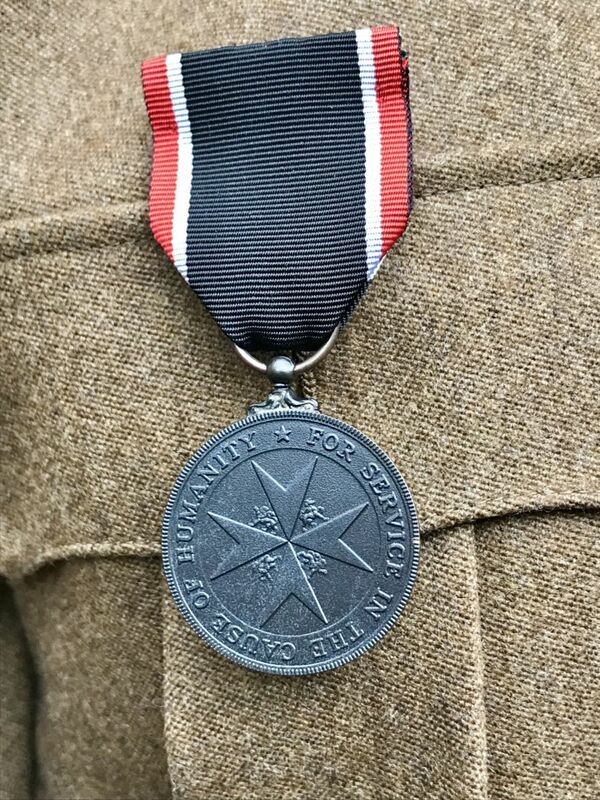 This means that Ewan retains the authority to wear this medal on the right hand side while in military dress uniform. A right he may continue to exercise in any future uniformed service. To be awarded the Life Saving Medal the recipient must have put their own life in danger while performing 'a conspicuous act of bravery' while saving, or attempting to save, the life of someone else.